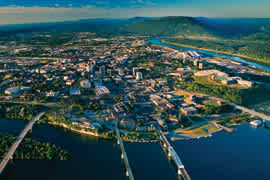 This riverside path, Riverwalk, parallels the Tennessee River from the Chickamauga Dam to Ross's Landing Park in downtown Chattanooga near the Tennessee Aquarium. In 2017, the path was extended from the Blue Goose Hollow Trailhead (on the riverfront at the end of Martin Luther King Blvd., adjacent to the Cameron Harbor Development) all the way to the beginning of the St. Elmo/Lookout Mountain area. 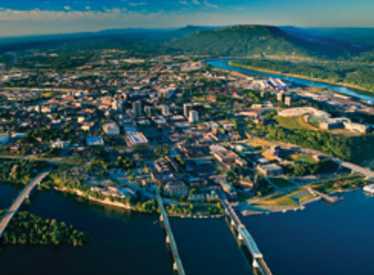 Rich in industrial and cultural history, the Riverwalk expansion is a testament to the river's role in the development of Chattanooga.